Certificates and quality marks - Fix Fisch B.V. The sea takes good care of us, which is why we have to treat the sea well. This means: safeguarding the fish stocks and protecting ecosystems. Please find hereunder a sum-up of our certificates and quality marks. The IFS Food Standard is a GFSI (Global Food Safety Initiative) recognized standard for auditing food manufacturers. The focus is on food safety and the qualityof processes and products. It concerns food processing companies and companies that pack loose food products. IFS Food applies when products are “processed” or when there is a hazard for product contamination during primary packing. The Standard is important for all food manufacturers, especially for those producing private labels, as it contains many requirements related to the compliance with customer specifications. The Standard supports the production and marketing departments in their efforts for brand safety and quality. IFS Food has been developed with full and active involvement of certification bodies, retailers, food industry and food service companies. Fix Fisch B.V. is MSC certified. Sustainability is a serious point of attention for Fix Fisch B.V. The natural fishing waters and breeding areas are not inexhaustible. MSC stands for Marine Stewardship Council. The certification program and quality mark of the MSC recognizes and rewards sustainable fisheries. It is a global organization that cooperates with fishermen,the fish processing industry and trade, scientists, nature and environmental organizations and the consumer to promote the most environmentally friendly choice for fish and fish products. The MSC quality mark is an international quality mark for fish products that originate sustainable and well-managed fishing. In sustainable fisheries, fish stocks are sustainably managed and as little damage as possible is done to marine life. Fishermen must be able to demonstrate that the fishing grounds are not emptied and ecosystems are not affected. Aquaculture Stewardship Council (ASC). ASC is an independent international non-profit organization that manages and further develops a certification program for responsible fish farming. The organization was founded in 2009 by the WWF and the Sustainable Trade Initiative. Fish with the ASC quality mark comes from nurseries that demonstrably deal well with nature. In addition, they monitor compliance with guidelines on social conditions for workers and local communities. By choosing fish with the ASC quality mark, the consumers of that particular fish species choose the best 20% of the cultivated products worldwide. Click here for the SGS / MSC statement for Fix Fisch B.V. In the organic fish farms, among other things, no use is made of hormones and antibiotics and the fish have more space. In addition, organically grown fishreceive vegetable products of biological origin and the fish meal and fish oil are also from sustainable sources. The foreign labels are: the German ‘Naturland’ and the English ‘Soil Association’ and these products fall under the European standard of organic fish and can also receive the European biological sign. More and more nurseries are bringing organic fish to the market. It is salmon and trout. The fish is called organic, but does not receive an EKO mark because it is foreign products. Unfortunately, there is no authority in the Netherlands that wants or is allowed to certify organic fish (such as catfish, shrimp, sea bass or carp). Skal is the regulator for organic fish in the Netherlands, but does so on the basis of the European regulation that does not yet include rules for fish farming. Friend of the Sea is a non-profit organization (NGO). Not bound to governments and their mission is to preserve natural ecosystems in the seas.The label was created by Dr Paolo Bray – European Director of the Earth Island Institute’s Dolphin-Safe Project. This project has ensured that millions of Dolphins have been rescued from nets that have been set out for tuna fishing and that is how he started this sustainable seafood movement.Friend of the Sea has become an international certification project for products that occur from sustainable fishing and aquaculture. The new “Good fish on the menu” program can help you with your choice of sustainable fish!Where MSC certification focuses on the traceability of MSC products from fisherman to the map, you can use Good fish to analyze your entire product range on the menu and make it sustainable step by step. It does not cost you much time, because this program cooperates with your supplier(s). In addition, the program offers you various promotional options for your sustainable viscous. Sustainable fishing is an important response to overfishing. In order to continue to catch fish in the future, sufficient adult fish must remain in the sea, which can lead to new growth. Sustainable fishing ensures that fish populations stay healthy or can recover and uses fishing techniques in which the chance of bycatch decreases considerably and the seabed is minimally damaged.Sustainable fishing is therefore not only necessary for the conservation of fish, but also for the preservation of the fish sector. By buying fish caught in a responsible way, you contribute to the protection of nature under water. 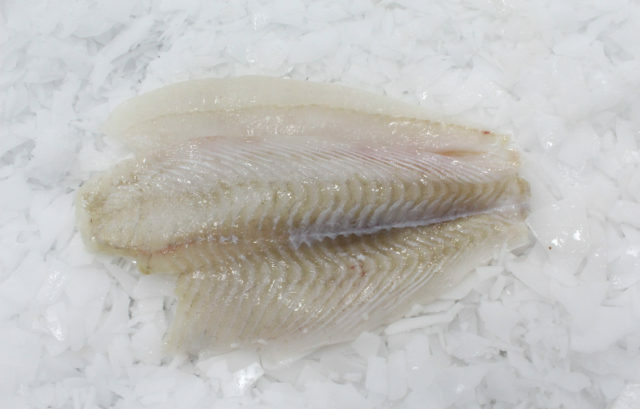 Fix Fisch B.V. scales fish caught in a responsible way under the Sustainable Choice label. © 2019 Fix Fisch B.V.